India is witnessing a sudden boom in travel startups for the past few years. A few contributory factors can be the wide availability of internet, smartphone penetration and, more importantly, the exponentially growing number of inbound and outbound travellers. We learn about new travel startups everyday and some of them really push the envelope of innovation. To identify and support such innovations, we announced our Startup Knockdown series of events recently. The first event in the series will be hosted in Mumbai next month in association with OTM Mumbai and the second event will be hosted in New Delhi in association with FICCI and Amadeus. Not only will the startups get to showcase their product in front of leading industry professionals but will also have other opportunities to give their business a boost. Founded by Anirudh Gupta and Michael Lyngdog in 2013, Tripoto offers travel itineraries for travellers and holiday makers. It has a huge collection of photos, reviews and recommendations shared by travellers who have explored the different corners of the world and are ready to communicate their travel experiences with others. Also, users have the liberty to add attractive trips in their wishlist. Launched by Shiju Radhakrishnan in 2012, iTraveller provides 3,50,000+ trips for 450+ destinations at highly competitive rates compared to other online travel booking sites. It offers packages at extremely cheap rates simply because of very few intermediates. It allows travellers to discover, plan and book tickets instantly by connecting them with the native destinations suppliers. Founded by Sunil Abhilash, Anil Alur, and Karan Cariappa in 2013, goMowgli claims to be India’s first hop-on and hop-off bus for travellers. Through this service, travellers can engage in innumerable activities, stay wherever they want with absolute freedom. The interesting feature of goMowgli is that the bus passes it offers is valid till 60 days from the date of first travel. This allows travellers to make changes in their travel itineraries at the last minute with no complications. Launched by Dhruv Raj Gupta and Sukhmani Singh in 2014, SeekSherpa lets travellers feel as comfortable as locals in destinations. Its platform allows locals to post their experiences. Travellers can easily book their experiences and post travel-related questions directing them to locals of their choice. Also, the website features many categories such as shopping, photograph and nightlife tours. Founded by Vineet Budki, Nidhi Varma, Darshan Sharma and Prashant Choudhary in 2013, Guiddoo is one-stop shop for travellers willing to indulge in tours, activities, audio-visual travelling, restaurants, spas and shopping. Its mobile app helps the users to enrich their travel experiences. Also, the app allows users to take pictures of point of interests and share it on their social channels. Launched by IIT graduates Abhishek Aggarwal and Ronak Gupta last year, Routofy is quite different from other online travel portals. It can search for flights, trains and buses all at once between any two destinations. Direct and indirect connections at cheap rates are displayed to the users from the favourite providers. This unique portal has already received great response from the Indian travel industry and was financially backed last year by the founders of Snapdeal. Founded by Mayank Kumar, Saurav Singh and Vivek Srivastava in 2012, Nearify is an event discovery platform that can be used by the travellers in their favourite destinations. It accumulates information of concerts, music festivals, parties, workshops, shows and meet-ups and categorises them according to traveller’s current location, genre of entertainment etc. Launched by two friends Anand Sinha and George Abraham in 2013, PressPlay offers travel entertainment service to tourers. Interested travellers can stream or download movies, music for free under 2 minutes when connected to its hotspot. In buses, the company provides its app on fully-charged tablets for INR 100. Travellers can do away with the boredom they usually experience while travelling anywhere. Founded by Vikram Ahuja last year, Byond Travel offers 100+ unforgettable travel experiences from 40+ countries. It provides wildlife adventures, houseboat explorations, treks to Himalayas, deep-sea diving in Sri Lanka and many other activities guided by travel adventurers and experts. Byond Travel packages range from Rs. 50,000 to Rs. 1.5 lakh. It has a remarkable collection of travel experiences in its Lime Diaries collective. Founded by Ish Jindal in 2012, Padhaaro is an on-demand marketplace that connects foreign travellers with Indian locals. It assists travellers right from the time they plan their trips to the time they arrive at the destination. They can book tours and local experiences through it while being on-the-go. 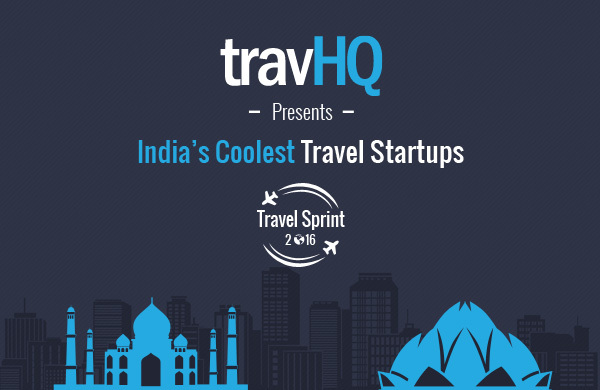 This startup believes in improving India’s image in the eyes of the international travellers. Are you a travel startup looking to leave a mark? If you have an amazing product for the travel industry, don’t miss the chance to showcase at the Startup Knockdown events. Send your pitch deck to editor@travhq.com. Follow the links for more details- Startup Knockdown Mumbai | Startup Knockdown Delhi. For any queries, drop us a mail at the above email ID or reach us through our social media accounts Facebook | Twitter | LinkedIn. Being a loyal user, I would like to see NightStay featured in such lists as they truly deserve it. NightStay- is a last minute hotel booking app for hotels at highly discounted rates in India. Currently available in top 14 cities of India (Delhi-NCR, Mumbai, Bangalore, Chennai,Hyderabad, Goa, Jaipur, Pune, Ahmadabad, Kochi, Agra, Chandigarh, Kolkata, and Trivandrum). The app showcases a handpicked list of hotels that offer the best rates every single day, always guaranteeing at least 10% off the best online rate, 20% off on average and up to an incredible 70% off the published rates!